Make their wedding day with a beautifully wrapped gift. Watch our 3 video tutorials to learn how to wrap a personalized wedding gift that wows. 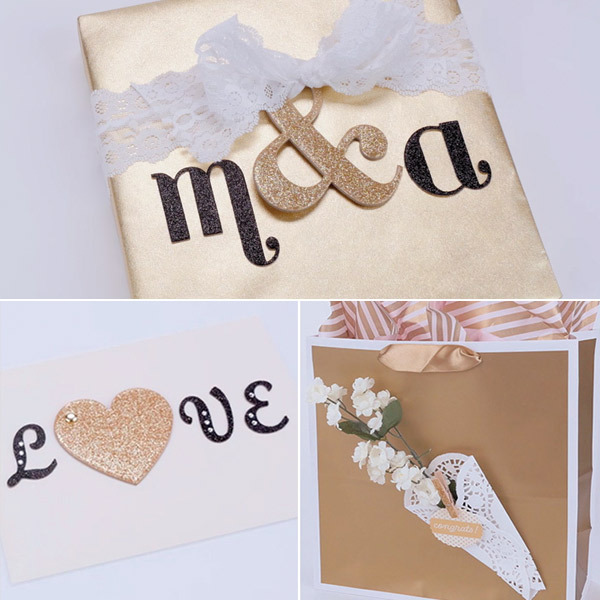 Sparkly stickers and elegant lace are a memorable way to personalize any wrapped wedding gift. Wish the happy couple lots of love with a hand-decorated envelope that’s sure to stand out on the gift table. Dress up a wedding gift bag with a doily and a sprig of flowers. Simply lovely.